Middling purple in the glass, the bouquet shows an attractive marriage of oak and fruit. This is a discreetly classy wine whose subtleties need coaxing out. The fruit shows a great sense of distinction, and fills the mouth at the back of the palate. Sébastien Cathiard began his second vintage in charge on 22nd September. He has made approximately the same volume of wine in 2012 as 2011, except in the Nuits-St Georges vineyards, but, alas, 2013 will be even less. 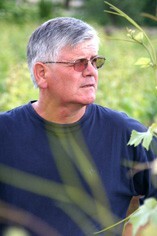 There are no significant changes to his father’s style, except some progress towards organic viticulture. Sébastien currently uses 2/3 new wood for village wines and 100% for most Premiers Crus. The grapes are entirely de-stemmed before vinification. Note how many cuvées have the benefit of old vines. but fabulous quality. 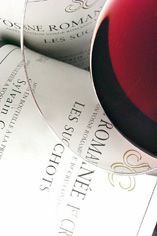 The Wine Advocate - The 2012 Vosne-Romanee 1er Cru Les Suchots comes from a tiny 0.17-hectare parcel of 45-year old vines. It has a very open and generous bouquet with brambly red berry fruit and rose petals. all very well defined. The palate is medium-bodied with crisp, succulent tannins, hints of coffee bean infusing the red fruit and lending exoticism towards the finish. Punchy and ravishing: this is what you want for your Suchots.